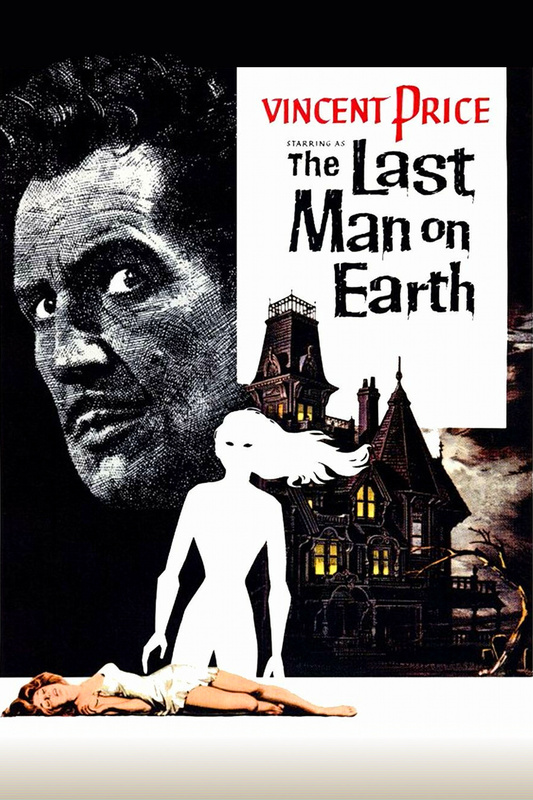 Cinema Sunday: The Last Man on Earth (1964) | Magazines and Monsters! As many people know, Vincent Price was an outstanding actor. Of course he’s most known for his horror roles, and that was his best genre, without a doubt. I’ve covered his perennial classic “House of Wax“, on my blog before, and that will always be my personal favorite, but this film, is a close second! Post-apocalyptic movies are always intriguing to me, some obviously fall very short of being good, let alone great, but this one does not. 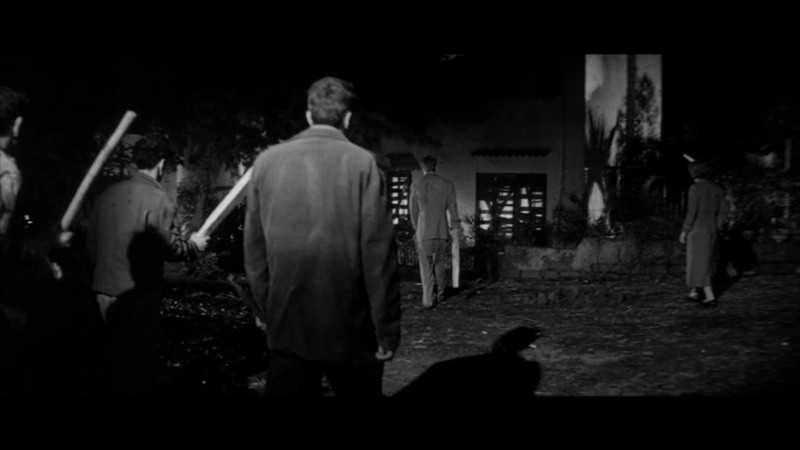 A strong nod to the work of Richard Matheson, as he wrote the book and assisted on the screenplay for this one. If you don’t know his work, get cracking, because he’s one of the good ones! Alright, let’s get down to the movie! As the movie begins, we see that a worldwide devastation has left the planet in a barely livable state. We see some corpses lying around, buildings smashed to bits, and absolutely nothing happening. 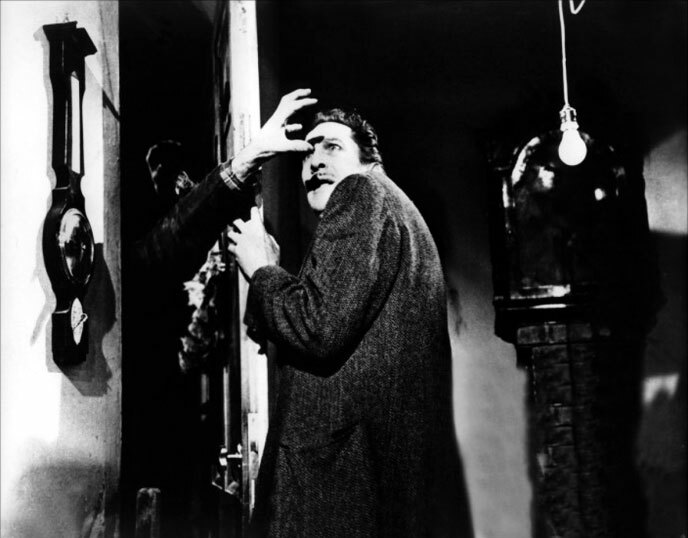 That is until we see a house in the suburbs, and an alarm clock that awakens a man, Dr. Robert Morgan (Vincent Price). His internal monologue pretty much sums up what we’ve already seen with our own eyes. We see him go about a mostly routine, but then we see a wall in his kitchen, and he has used a pen to create a monthly calendar, and he remarks to himself that he “inherited the world” in 1965. According to his home-made calendar, it’s 1967. As he loads the two dead bodies into his car (from outside his home), he remarks that he needs to stop for gas for the car. He does that, and then we watch, as he drives to a ravine where a fire is burning. 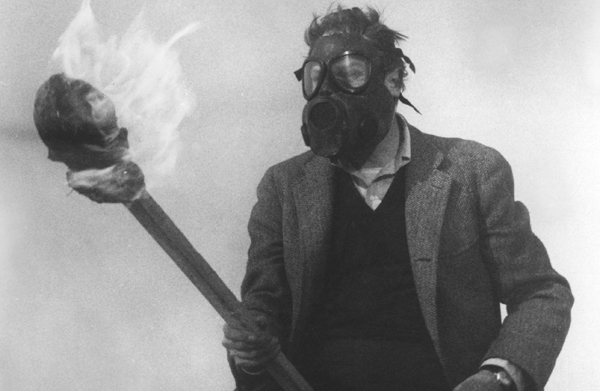 He tosses the two bodies into it (after putting on a gas mask), and then throws a torch into the pit, and an explosion follows. Next, he enters a grocery store, and grabs what he needs, including the garlic. He drives to another area, searching for life, and also, more supplies. We watch, as this routine of gathering supplies, killing these “infected” with a stake and hammer, dumping bodies in that pit, and so forth, continues for the rest of the day. As night comes, he attempts to get some sleep, but a few of the infected gather around his house, and begin to try to smash their way in. They’re unsuccessful though, because he’s fortified it very well. A scream awakens him, and he plays a few records to try to keep his mind from going off the deep end. The next day, Morgan heads off to the church, and loses himself in his thoughts. Before you know it, he realizes it dark outside, and runs out in a panic towards his car. Two of them attack him, but are tossed aside fairly easy. He reaches his car, fighting off a few more of them, but as he returns home, his house is surrounded. He uses his car to knock some of them over, and as he leaps out of the car, he brandishes a mirror, to keep them off long enough to get into the house. Then, he watches some home movies, to try to relax. The infected ruin that quickly though, and push him over the edge, and he begins to weep. He flashes back to a time before the plague came upon the Earth. We see Dr. Morgan talking with a relative about a plague that’s sweeping through Europe. Dr. Morgan doesn’t believe its’ as bad as people are saying, but he soon finds out differently. His daughter is the first to get ill, but his wife soon follows. Morgan talks with his wife about the hope of a vaccine, and he believes everything will be fine. As he gets to the lab, he and the other doctors mention the word vampire, but Morgan wont have any of that talk. Morgan is still holding out hope for his daughter, but his wife thinks they need to send for a doctor. As Morgan leaves for the lab, a neighbor is screaming, because the military is taking her child (or husband) away to be burned in the before mentioned pit. Morgan drives to his co-workers home to pick him up for work, but he wont leave the house. Morgan shows up at the lab, but everyone is gone, save for one doctor. He returns home later that day (in the evening), and a truck has just pulled away. He sees that his daughter is gone, and his wife tells him that she called a doctor, and then the truck came to take her away. Morgan quickly jumps into his car, and tries to follow the truck to the burn pit. After he arrives, he asks the driver if that truck was just in his neighborhood, and the man doesn’t know. We assume she was in the truck and is now dead. He returns home, and his wife cries out that she cannot see. He finds her, lying on the bed, unconscious. He keeps her under his constant supervision, but she dies rather quickly. He removes her from the house (wrapped in a sheet), then drives to a remote location, and buries her. He returns home, but soon hears a voice whispering. Someone is at the front door, attempting to get in. He opens the door, and it’s his wife, not looking so good. We now flashback into the present, and the infected are trashing his car and house. They call to him the entire time, but get careless, and stay out until sunrise. Morgan awakens the next morning and heads outside to assess the damage. Morgan does some car “shopping” , and picks up a new station wagon. He returns home, and locks it in his garage. Seemingly out of nowhere, a dog appears, and seems to be fine. He scares it though, and it runs off. He chases it, but can’t seem to find it. He does stumble upon some dead bodies that were taken out with metal spears. He now knows someone else must still be alive. He heads back home and once again uses his radio to try to make contact with someone. As he does, he hears the dog whimpering outside the house. The dog is injured, but how, is unknown. The usual band of infected return and start beating on his house once again. Morgan sees the dog is frightened, and he assures it that things will be fine. It hits him just then, that maybe the dog was infected, so he checks out its blood under a microscope. It was indeed, so then he’s shown burying the dog (that has a stake through it). He looks up, and sees a woman walking through the field. He calls out to her, but she’s afraid. After running her down, he convinces her that she should come with him, and they can fight together. I’m going to leave off now, and let the rest to your imagination, but rest assured, this is one you must see! You’d think that a movie dominated by one actor wouldn’t be something excellent, but Price delivers such a great performance, it’s proof that it can happen. His inner monologue is the driving force for this movie. He really has you convinced there is no hope and that the world is doomed. How then can he carry on everyday? That’s the question everyone would have to answer if they were in this situation. Most people would go insane, no doubt, but a select few would soldier on, no matter what the circumstances. The ending is quite good, and holds some very dramatic scenes. This story has been remade a few other times- The Omega Man (Charlton Heston, 1971 and I Am Legend (Will Smith, 2007), but don’t hold the power that this film does. Let’s be honest, most remakes don’t touch the original material they’re based off of, and this one is no different. Definitely see this one in black and white, because even though it was redone in color, its way more creepy the way it was intended. Vincent Price isn’t known for being one of the greatest for no reason! This was a good movie. I was surprised at how faithful it was to the source material, Richard Matheson’s novel I Am Legend. And the movie even kept Matheson’s ending intact. Considering how often genre films of the 1950s and 60s deviated from the material that they adapted, this was certainly a solid translation from page to screen. Absolutely! I still want to see The Omega Man, as well. I’ve heard that’s pretty good too. Pingback: Cinema Sunday: The Haunted Palace (1963) | Magazines and Monsters! Pingback: Cinema Sunday: Night of The Eagle (1962) | Magazines and Monsters! Pingback: Cinema Sunday: Tower of London (1962) | Magazines and Monsters!